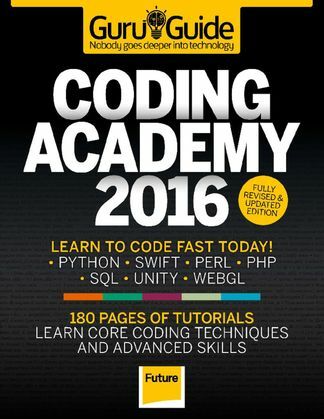 Take your programming skills to the next level. Learn the fundamentals and go on to learn Python, PHP, Ruby on Rails and Perl. Create real-world projects, like a Python-powered Twitter client. Plus, expand your repertoire and try languages like Facebook's Hack and the massively scalable Erlang. Be the first person to tell us what you think about Coding Academy 2015 and you'll save $5 on your next purchase! 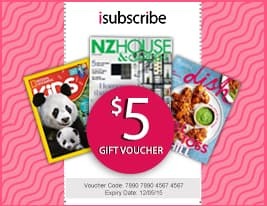 https://www.isubscribe.co.nz/coding-academy-2015-digital-subscription.cfm 15711 Coding Academy 2015 https://www.isubscribe.co.nz/images/covers/nz/541/15711/square/CodingAcademy19161052.jpg NZD InStock /Digital/Technology/Web Development Take your programming skills to the next level.